^ 德尼·克伊朗. 《羅浮宮參觀指南》. 黎絲藝術出版社. 1997. ISBN 2854950992. ^ Kemp, Martin. Leonardo da Vinci: the marvellous works of nature and man. Oxford University Press. 2006: 261–262 [10 October 2010]. ISBN 978-0-19-280725-0. 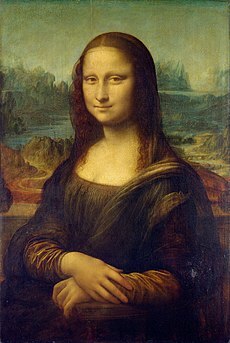 ^ Mona Lisa enigmatic smile – Mystery Revealed. Bhuvana Sundaramoorthy\'s Blog. 2006-09-28 [2018-08-21] （美国英语）. ^ 《蒙娜麗莎》主角身分揭曉 - Yahoo! 新聞. 2008-01-19 [2018-08-21].